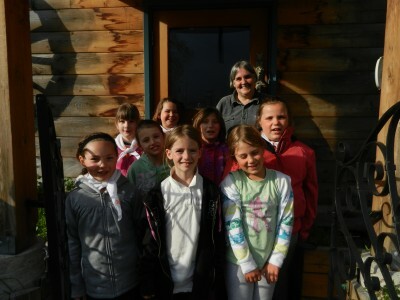 Fernie Brownies came to visit the forge on Thursday evening, 17th May. They had fun looking round and meeting with the alpacas before watching Sandra demonstrate. The girls had interesting questions and were delighted to be presented with the finished poker for their Brownie camp fire. Thank you so much! I am sorry I could not join the girls last week. I am looking forward to hearing all about it this week and using our new poker while we practice our campfire skills. Thank you so much for the awesome time! The girls had a blast and this will be one field trip remembered for a lifetime.